jamie goode's wine blog: Buy my last book for just £5! 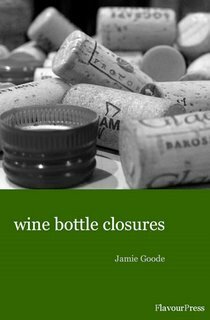 I've just moved office, and in the process I found a couple of boxes of my last book, Wine Bottle Closures (optimistically, I did quite a large print run). So if you'd like a copy of this incisive assessment of the closures scene, then you can buy one at the knockdown price of £5 from http://www.flavourpress.com/. oooh, yes, how would you like to recieve payment? Which famous vineyard is this?